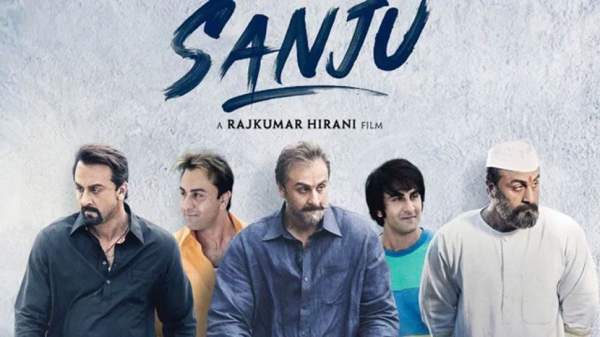 Sanju 15th Day Collection 15 Days Sanju 3rd Friday Box Office Report: Sanju has been faring well on its 15th day (3rd Friday). It’s going to have a better collection at the box office than the two new films – Soorma and Ant-Man & the Wasp. Though it faced a decrease in the new screen, the existing screens are getting better occupancy than the two latest competitors. Hollywood’s Ant-Man & the Wasp and Diljit-Taapsee’s Soorma have got 25 and 20 percent occupancy in the morning shows in India. While Ranbir starrer got over 30% footfalls at the same. It is standing better the two new ones even on Friday (3rd week). Sanju’s screen count has been reduced by around 50% due to the release of new movies in the domestic market. By the end of 2nd week, Sanju just fell short of crossing the mark of 300 crores in India. Now, it will face competition from the fresh releases at the box office. Check: Soorma 1st day collection. The Sanjay Dutt’s biopic has been doing really good for two weeks now. It didn’t face any big competition in week two. In its 14 days of run, Sanju has collected Rs. 291 crores and will cross the new magical figure of 300 cr by the third weekend for sure. It will become the first film of Ranbir to do a collection of 300 crores. As of now, the film is ranked #8 in the list of highest Hindi film grosser of all time. It has already got the label of all-time blockbuster and is to outdo the business of Padmaavat which released this year. Sanju has already smashed various box office records like highest opener of 2018, highest weekend grosser of 2018, highest single day earner (Hindi film) of all time. It earned Rs. 5.5 cr on its second Thursday. It earned over 200 crores in the first week, then around 90 crores in the second week. Sanju also features Anushka Sharma, Paresh Rawal, Sonam Kapoor, Vicky Kaushal, Jim Sarbh, and Karishma Tanna in important roles. The film has earned praise for the brilliantly scripted storyline and outstanding performances by the actors. Stay tuned for the updated figures of Sanju 15th day collection (3rd Friday) and latest Bollywood news.